Canadian company Organigram is in troble after testing proved that a whole lot of their buds tested positive for two controversial and illegal pesticides. Remember when news broke out that The Trailer Park Boys will be launching their own line of cannabis products? Well as it turns out, the company they partnered with, Organigram, has been under scrutiny lately for having to do massive recalls on their cannabis. The Canadian company Organigram had some trouble in 2016 after testing proved that a whole lot of their buds tested positive for two controversial and illegal pesticides. Considering that this company calls themselves organic, a pesticide recall isn’t ideal for their reputation. The efforts to recall a huge amount of cannabis can be very expensive. In total, Organigram has spent almost half a million dollars in just three months in an effort to clean up their mess. But the real financial losses will come later, after the recall. 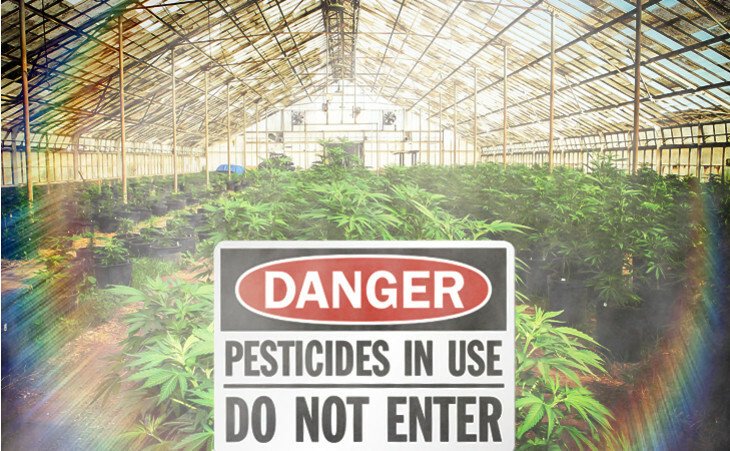 When an organic cannabis company gets caught with trace amounts of two banned pesticides in their product, the trust is lost between the brand and the consumer. Especially when the company tries to evade responsibility for the incident, as you can see in their statement. I think it’s not just the shock that was the issue, it was how did it happen? How can it happen? So your mind immediately goes to that. What we’re doing right now is we’re testing all of the inputs that come into our facility. Inputs can be anything from the soil that we grow in the fertilizers, the various other products that go in – that touch the plant. And we’re working with Health Canada. I think what the industry has to realize is that we need to also test what’s coming in to our facility not just test what’s going out of our facility. – Organigram CEO Dennis Arsenault. Now the CEO does do a great job of sounding completely clueless on how something like this could happen, but there’s a flaw in his statement. For a plant to test positive for two illegal pesticides, the cannabis had to have the chemicals directly on the flower. The only way that can happen is if it is sprayed directly on the plant while it is still growing. Anyone that knows anything about pesticides understands that the stuff gets sprayed directly on whatever it is you are growing to prevents attacks from other species. The only way for his products to have pesticides is if his employees sprayed the chemicals directly on the herb while it was growing in their facility. Perhaps Arsenault just doesn’t want to admit that his employees were using illegal chemicals on their so-called organic cannabis. If proven that Organigram was indeed the reason why there were chemicals found in the supply chain, Health Canada could come down with a hammer of justice. If the Department had reason to believe that a licensed producer was using unauthorized pesticides or other chemicals, it would take immediate enforcement action.